A month as past since the first installment of my new tank build. The good news is that most of the items I need are now here and delivery of the Reefer 350 is scheduled for next Tuesday. Some of the items I have chose for the new build on the last installment may have changed and I will explain as we get along with this. I will begin by detailing the items I will now be using. I have chosen the Aqua 8 watt UV sterilizer as it will provide the effectiveness I will need to eliminate unwanted bacteria and algae spores while at the same time providing much clearer water. All items required for plumbing are included with the unit and I especially like the union type connector which easily allows removal of the UV unit for lamp changing. I also ordered the model with the wiper which helps keep the UV lamp clear from any debris or film of any kind thereby increasing its effectiveness and eliminates removal of the lamp for cleaning purposes. I did not choose a popular brand of the RO/DI unit as most components used are not much different than more expensive brands. The model I chose is a 100gpd unit and I also bought a dual in line TDS meter so I can monitor the quality of water before processing and after. This provides a means of letting one know when it is time to change the filter. 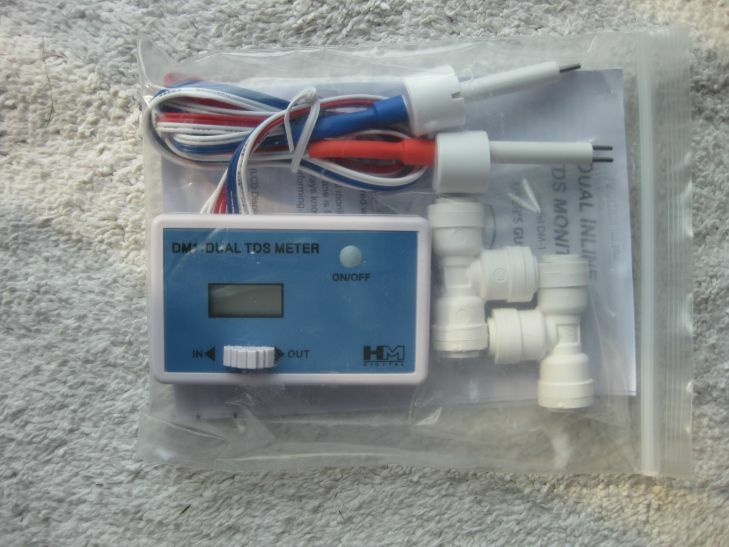 The dual TDS meter comes with a self stick device that will allow me to mount it to the frame of the RO/DI unit. The meter is also battery operated. 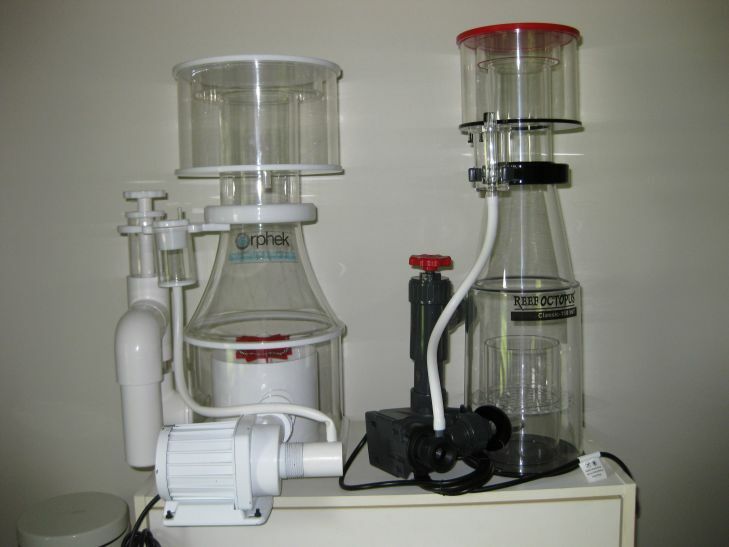 The protein skimmer I orginally chose was the Orphek Helix 5000. Unfortunately, the Orphek skimmer has a large footprint which would take up all the room in the skimmer chamber and not allow me any space for a carbon media reactor. I went with a Reef Octopus Classic 150 INT which is rated for heavy load tanks of up to 120 gallons. 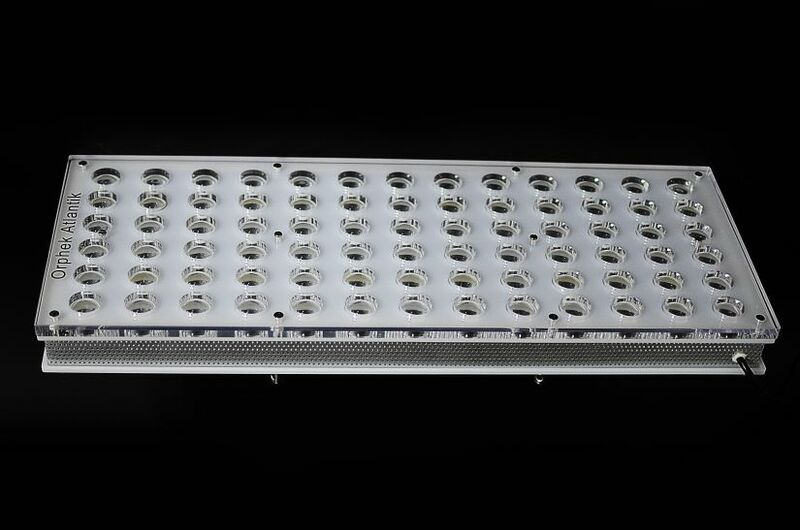 You can see in the photo below that the Orphek Helix 5000 is a much larger skimmer in diamter and is best suited for large tanks with larger sumps. 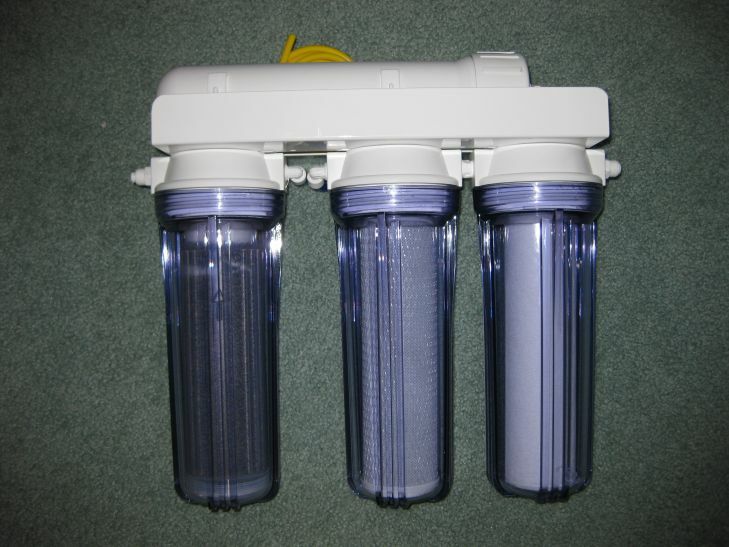 It is an excellent performer and comes with a DC controllable pump which the Octopus does not. I also like the design of the Orphek cone on the Helix 5000 skimmer. This took a considerable amount of thinking before deciding which wavemaker I would use. 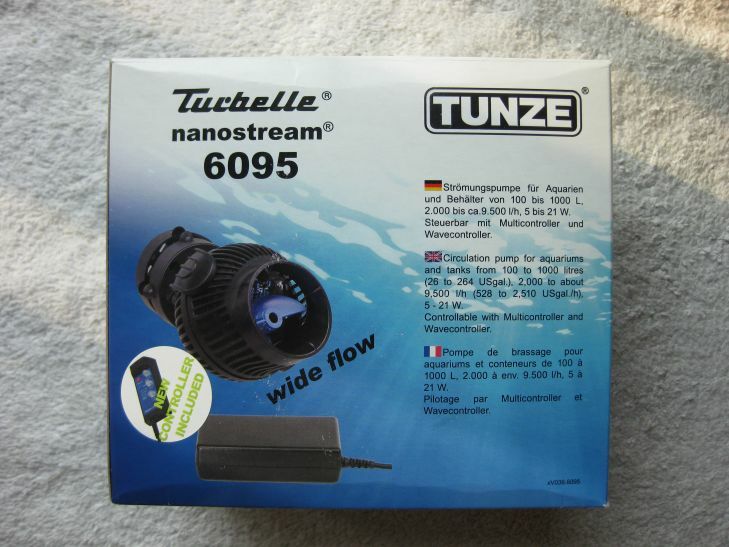 My final choise was the Tunze 6095 DC wavemaker which came with a basic controller. The 6095 has an adjustable output from 550 to 2500 gph. The Tunze 6095 can easily integrate with their deluxe controller which I may buy at a later time. 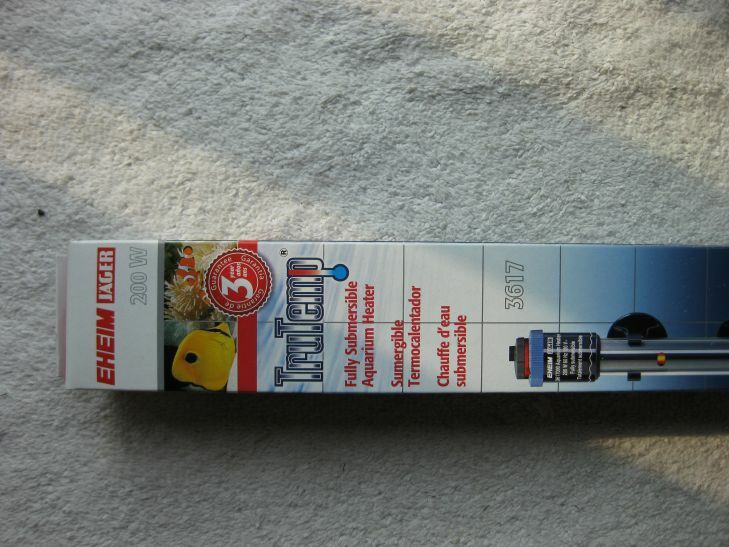 This was a relatively easy choice, I wanted a dependable well made heater and I chose the Eheim Jager 3617. 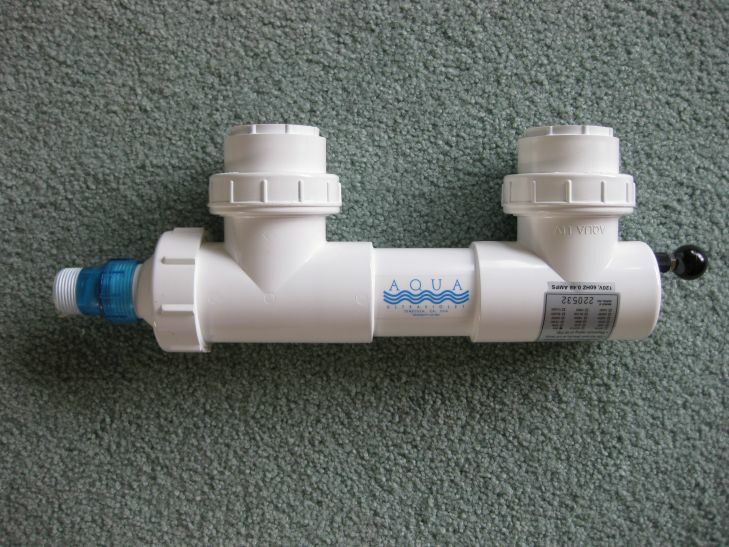 This model features a thermo safety control which protects it from running when no water is present. It is also made of shatterproof glass with precise temperature regualtion. I did stick with my original choice of Red Sea Reef Salt. My light choice remains the same, the Orphek Atlantik V2.1, four channel wifi unit. This will be moved from the old tank to the new.